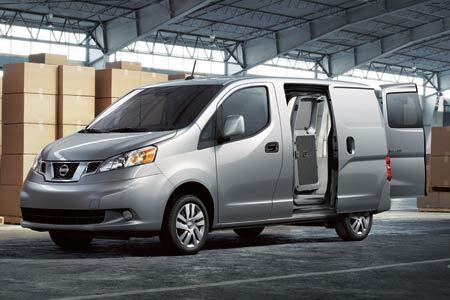 At Harte Nissan, we offer plenty of incentives for those interested in purchasing one of our commercial vehicles, including the Nissan NV® Cargo Van, The Nissan NV200TM Compact Cargo Van, and the NV® Passenger van. There are several service plans available to commercial customers, each designed specifically for Nissan Commercial Vehicles and backed by Nissan. We even have service plans for high-mileage vehicles! 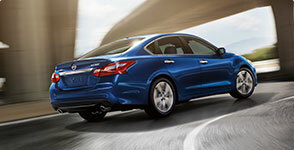 Contact us at Harte Nissan for specifics on your vehicle. Every Nissan Commercial Vehicle is backed by a 5-month/100,000-mile*bumper-to-bumper limited warranty, which includes 5-year/100,000-mile* limited powertrain coverage. This new upgraded warranty was just announced and is the industry’s first 100,000-mile bumper-to-bumper limited warranty. The warranty is retroactive to all 2014 models and applies to NV, NVP, and NV200 vehicles. 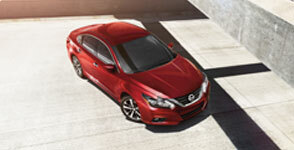 You also have the option of adding Security+Plus®, which is an extended service agreement approved by Nissan. Contact us at Harte Nissan to find our more details. Complimentary Utility Package – Includes a cargo partition and a 3-bar utility rack for Standard Roof models, or an interior ladder keeper for High Roof models. Complimentary EZ LOAD Ladder Rack Package – Offered for Standard Roof models and includes a cargo partition and EZ LOAD Ladder Rack. Complimentary Cargo Management System – Includes cargo partition and three 44-inch shelving units. Complimentary NCV Graphics Package – Includes 70 square feet of custom-designed, professionally installed graphics. Commercial Cash Incentive – These cash incentives are available for eligible customers on a regular basis. The cash amount will vary regularly as well, so contact us for details. There are also six additional upgrade packages available at discounted prices. General Service Package – Includes cargo partition, three 44-inch shelving units, six drawers and parts bin system. Electrical Contractor Package – Includes cargo partition, three 44-inch shelving units, eight drawers and parts bin system, wire reel holder and literature rack. Security Package – Includes cargo partition, three 44-inch shelving units, seven drawers, and parts bin system and literature rack. Cable Package – Includes cargo partition, three 44-inch wide shelving units, seven drawers and four hook bar. HVAC Package – Includes cargo partition, three 44-inch wide shelving units, ten drawers and parts bin system, three tank racks and literature rack. Locksmith Package – Includes a cargo partition, drawer and cabinet module, workbench and literature rack. There is also periodically special financing available to commercial vehicle customers, as well as additional customer cash incentives. Call us at 866-687-8971 or visit our dealership for more information and to get your questions answered. We hope to hear from you soon!